Despite women in the UK owning 45 percent of the wealth, only 14 percent are business angels. This low percentage persists in the number of entrepreneurs as well. With the theme of the year being #BehindEveryGreatCity, it’s important to highlight the women that have been stepping up to make a change in these low percentages. 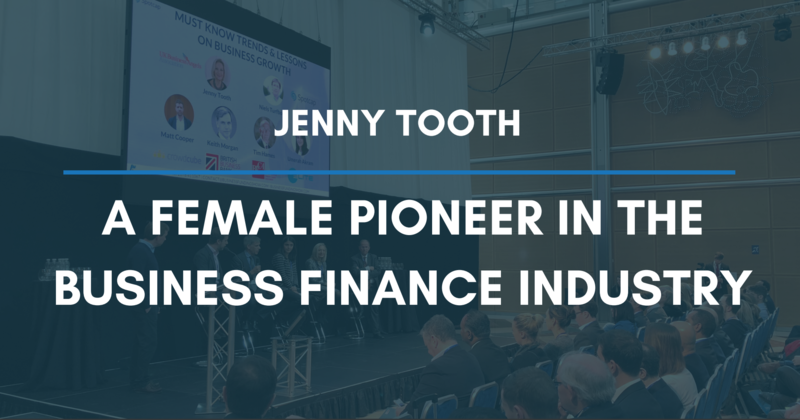 Jenny Tooth, the CEO of the UK Business Angels Association, speaks with us about her journey through the angel investment industry and how she is utilising her position to encourage more women to invest. Tooth’s passion for small businesses began while she was studying for her master’s in economics. ‘The most important issue that I saw was in finance. I picked it up early in my own observations and then started on how I could get involved,’ said Tooth. With this, she set up her own consultancy in which she focused on small businesses accessing finance, specifically public funding from the government. After working closely with the European Commission in Brussels, she began to identify an important area of finance: business angel finance. ‘Public money is very valuable and important; however, private investments bring in more than just money. Small businesses can also receive help and expertise from investors.’ Tooth went on to work with the London Business Angels and then co-founded Angel Capital Group. In 2002, she dove into the world of angel investing. When analysing businesses for investment, men and women look at varying aspects of the business. Men investors, on the other hand, tend to look more at the business model and the technology. There is a strong emphasis on the finances. Both men and women investors will focus on the entrepreneurs and what drives them as well as the market share and scalability. Overall, women and men investors complement each other. According to Tooth, investment in syndication and diverse syndicates pull the best out of men and women. To succeed in the industry, Tooth says that it’s important for entrepreneurs to talk about all that they have achieved. The UK has experienced huge government support with the SEIS and EIS tax breaks. While other countries have brought in tax breaks, they are less than those of the UK and are not as wide-ranging. The government has also created co-investment funds, which leverage angel investing by bringing in additional firepower. Overall, there is a strong environment and support system for startups in the UK. ‘We are attracting many more funds to the UK that are coming from all parts of the world, particularly from a scaleup side,’ said Tooth. Connect with Angel Investment Network, along with top VCs, crowdfunding platforms, accelerators and more, at our ‘Networking with Funders’ event! Join us on Tuesday 20 March 2018 at WeWork Aldwych House for an evening (18.00 - 21.00) full of opportunities. Secure your ticket here. For further information on angel investment, visit www.ukbaa.org.uk. Follow BFS and UKBAA on Twitter @bizfundingshow and @UKBAngels.